Featuring a fully relaxed fit for added comfort, the low bulk construction will give you flexibility, whether shouldering a gun or raising your optics in pursuit of game. 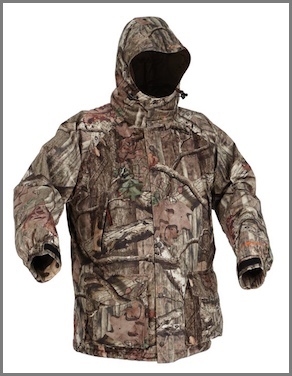 Constructed with ArcticShield technology that utilizes a multi-layered heat retention material to capture and return up to 90% of your body heat, providing warmth for the changing weather conditions in the field. Making room for all your gear, the jacket contains gusseted cargo pockets, zippered chest pockets, a zippered interior pocket, and an interior stuff pocket. This jacket has a draw cord waist and elastic wrist cuffs for easy adjustment to keep the elements out.